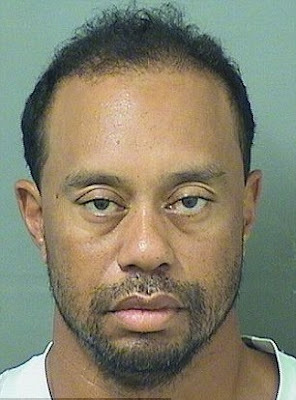 Tiger Woods was arrested in Florida today on a charge of drunk driving, according to the Palm Beach County Sheriff's Office. The 41-year-old golfer was arrested around 3am on Military Trail, south of Indian Creek Parkway in Jupiter. Arrest information shows Woods, a resident of Jupiter Island, was booked into jail at 7:18am and then released on his own recognizance at 10:50am. He faces a charge of driving with a blood alcohol level above Florida's legal limit of .08. This is the second time that Woods has been caught drinking and driving. 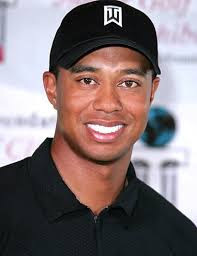 In November 2009, two days after the National Enquirer broke the story that Woods had been cheating on his then-wife Elin Nordegren with a New York City nightclub manager, Woods left home and crashed his Cadillac Escalade into a fire hydrant, a tree and several hedges. However, he wasn't charged in that incident. Following that incident, several other women came forward, saying they too had affairs with the professional golfer - tarnishing his previously pristine image. A month later, he entered a 45-day therapy program and apologized for his actions, saying 'I thought I could get away with whatever I wanted to'. Woods and Nordegren divorced a little less than a year later, in August 2010. Since then, Woods' career has been in a free fall as he's failed to remain a major competitor and advertisers have stopped sponsoring him.